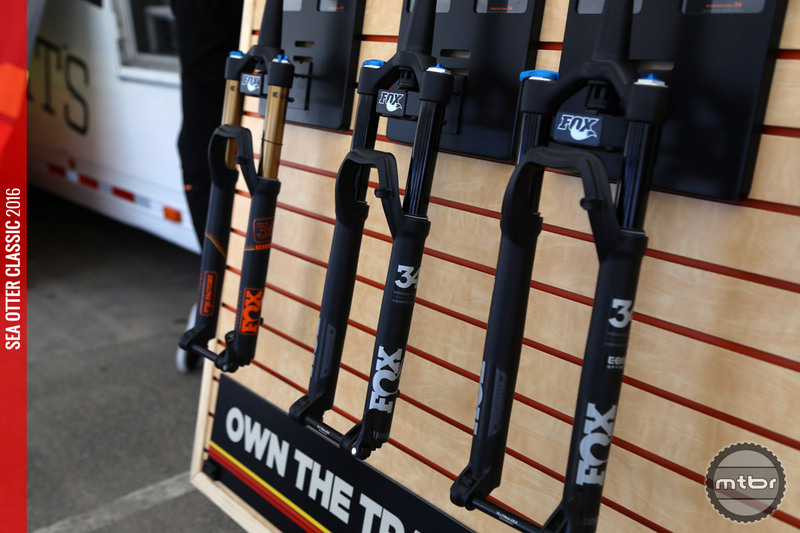 The new black stanchioned FOX forks were on a number of display bikes at the show and we can’t wait to see them shipping on more 2017 models (click to enlarge). Just before Sea Otter, FOX dropped a ton of new announcements, including an ultra light XC fork, more boost options, an e-bike specific fork, and some really affordable new models. Oh, and their mid-tier models now come with black stanchions. For more info, check out our full story here. For more info visit www.ridefox.com. New logo, new color, new look (click to enlarge). This year I almost walked past Formula in the pits because I didn’t recognize the booth. They’ve gone through a complete rebranding, that includes a new logo (that honors their Italian heritage) and have adopted purple as the company color. 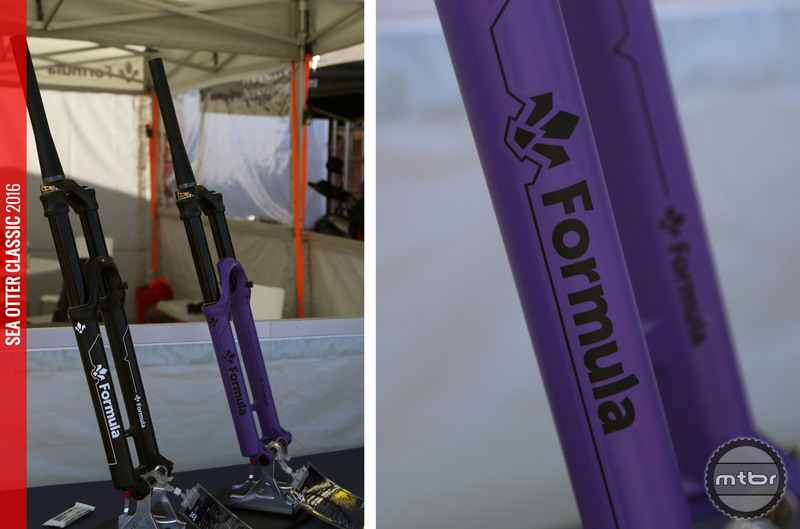 To celebrate, they’re doing a limited release of their forks in their new signature purple. The gold lever is for lockout, the blue is for compression, and an allen bolt adjusts the lockout blowoff (click to enlarge). One unique feature about Formula forks that I was not aware of is that the compression circuit is easily swappable to help fine tune ride characteristics. 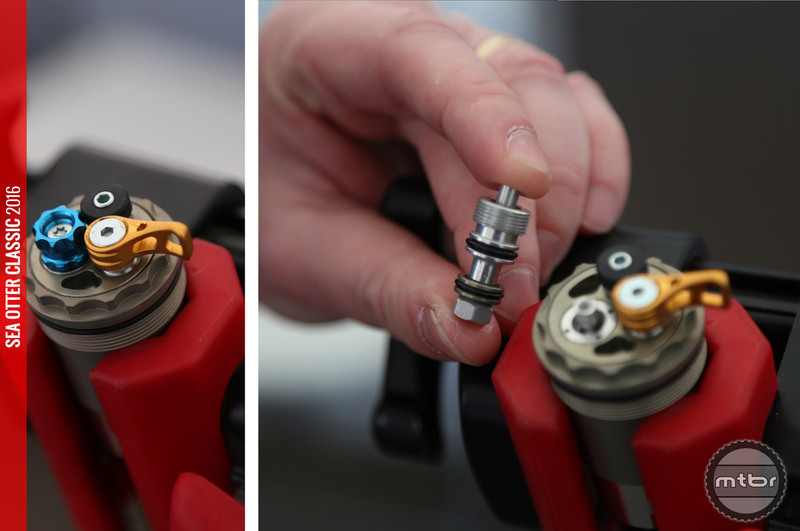 They spec a medium tune that should work for the majority of riders, but they sell a softer and stiffer circuit as an aftermarket option. For more info, visit formula-usa.com. 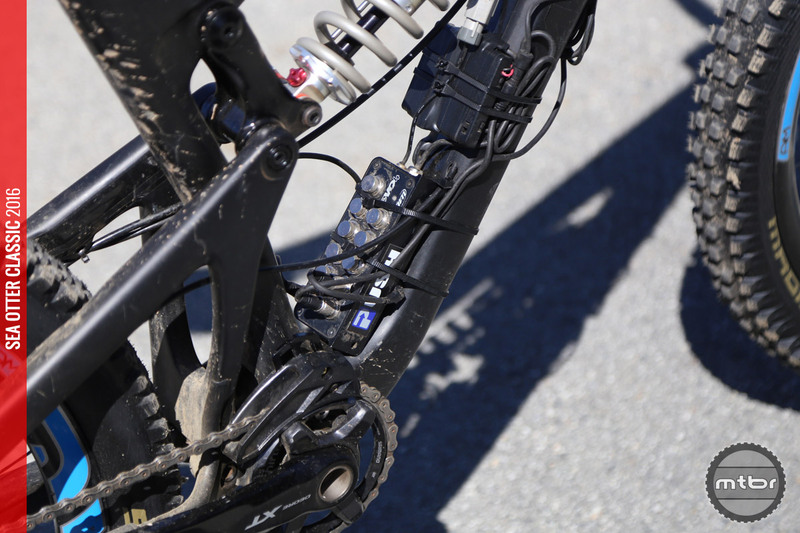 The computer’s route information from digital speed and position sensors on the fork and shock (click to enlarge). It may not look pretty, but this bundle of wires and computers allows Push to acquire data on suspension performance to compare the effectiveness of differing damping and compression tunes. They use this information to fine tune their own Eleven Six offerings, and perhaps those of consumers in the future. For more info, visit www.pushindustries.com.